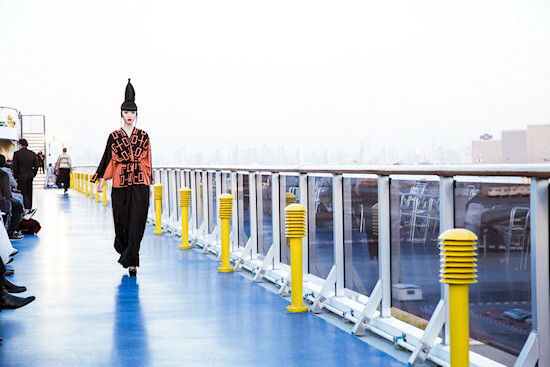 Model Jessica Minh Anh already turned the London Tower Bridge and the Petronas Towers into a catwalk. Her latest endeavor: Hosting a show on the high seas on the deck of Costa Atlantica in Dubai. Hi, I recently found out about model and young entrepreneur Jessica Minh Anh, who has launched a fascinating fashion project, finding the best and most extraordinary places for a fashion show. 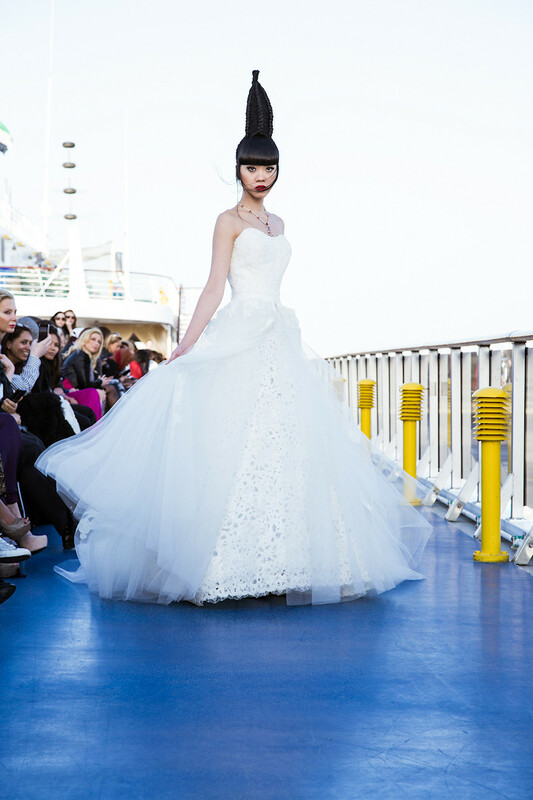 Jessica Minh Anh already turned the London Tower Bridge into a catwalk in October 2011, and hosted the first ever fashion show on the famous Skybridge of the Petronas Towers in March 2012. Her latest endeavor was a show on January 23rd 2013 on the high seas on the sundeck of Costa Atlantica overlooking Dubai's skyline. 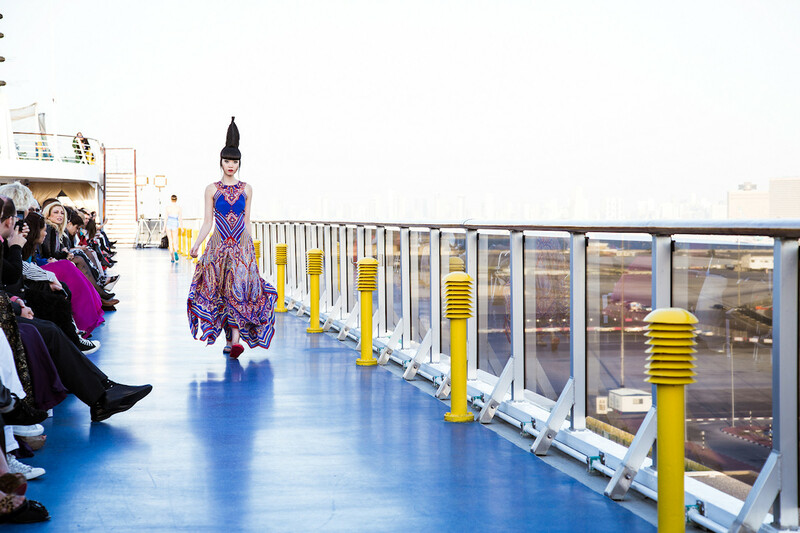 The sundeck of Costa Atlantica turned into a 70 meters long catwalk. 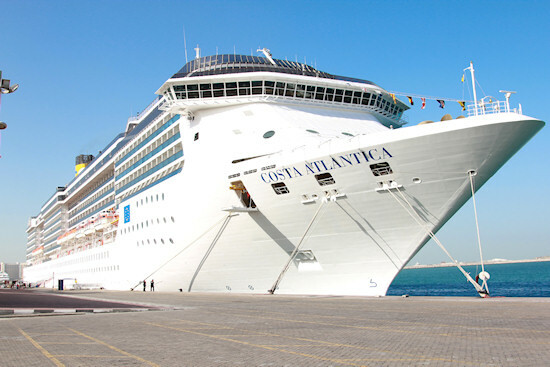 The Italian cruise ship Costa Atlantica can accommodate up to 2,680 passengers in 1,057 cabins and 58 suites. 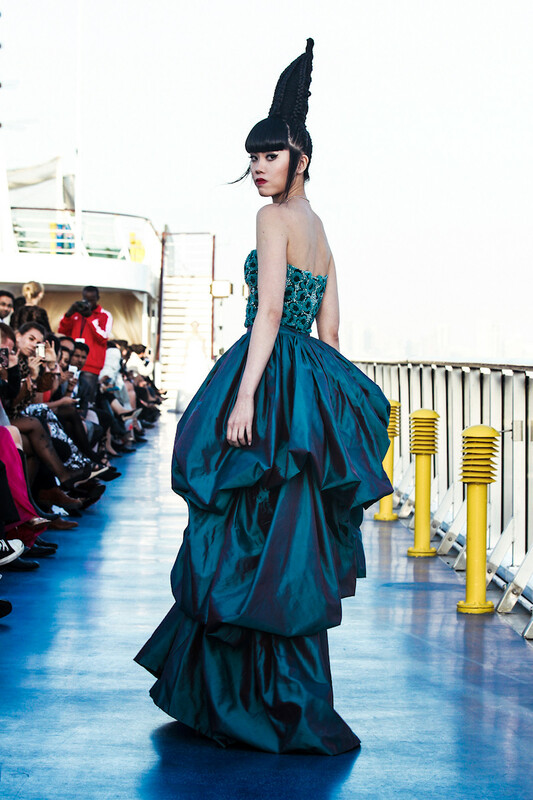 Jessica Minh Anh's prominent hairstyle, inspired by luxury hotel "Burj Al Arab" in Dubai. What are the most fancy places for a fashion show? How about a show on Mount Everest, or under the sea, in a submarine, or on an aircraft carrier, or even better in space on the ISS? I am already curious what Jessica Minh Anh will do next.